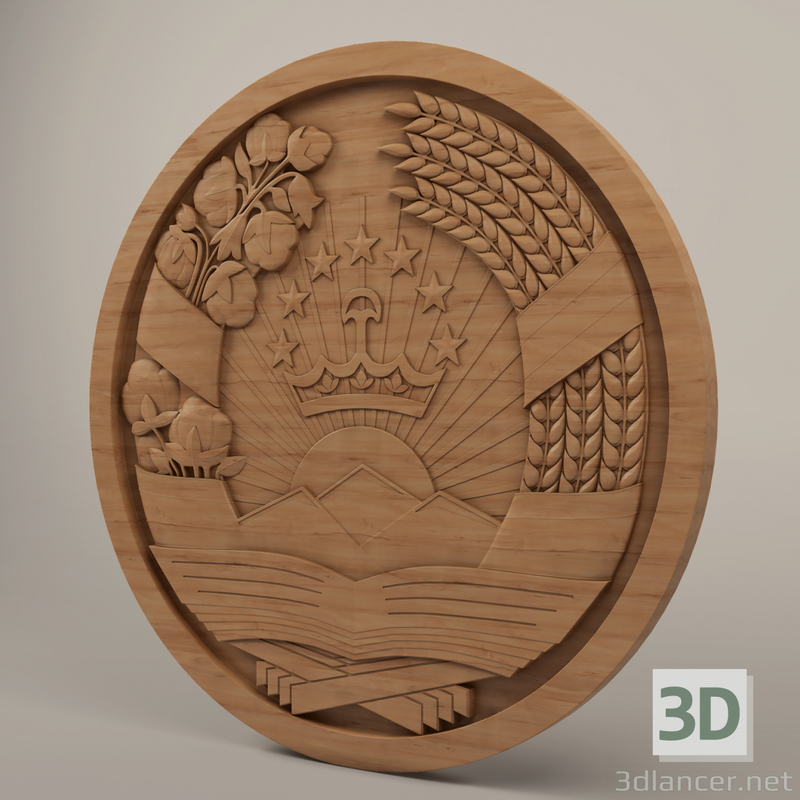 The national emblem of the Republic of Tajikistan, suitable for 3D printing, can be used as a two-sided symmetric model by disabling the FFD modifier and adding the Symmetry modifier. November 24, 1992 held at the so-called. The “Conciliatory” XVI Session of the Supreme Council of the Republic of Tajikistan approved the Regulations on the National Emblem of the Republic of Tajikistan. The reference image of the coat of arms was developed by: Z. Khabibullaev, A. Zanevsky, L. Dodhudoeva, N. Ignatushina, M. Saidaliev. Wow! Carved from the tree? Ух ты! Из дерева вырезали?